Super find! Priced to Sell ! Make offer now! All offers considered. Needs full rehab but worth it! Great Springfield location. Corner lot with flexible zoning, Buyer must sign hold harmless to enter. Sold as is Where is ! A rue diamond in the rough, Buyer must assume all liens and violations. Pearl St. 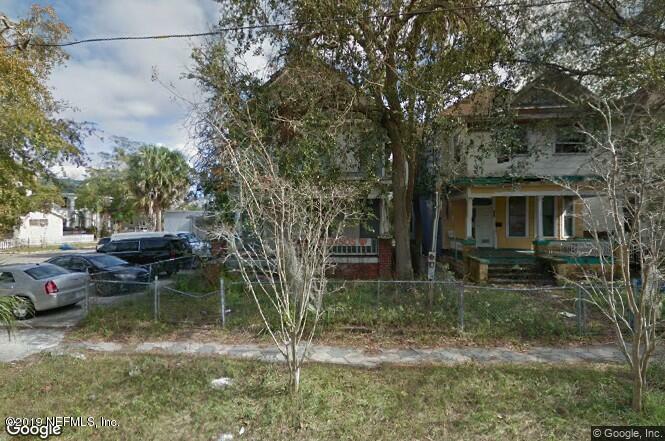 Between 6 and 7th St. East Main St. N West of Boulevard St.
1647 Pearl St is a 2,303 (*estimated) square foot home with 4 bedrooms and 2 bathrooms located in Jacksonville FL, DUVAL County. This property is listed for sale at $87,500 and is currently active and accepting offers. courtesy of intergrated realty corp.